Facebook, Twitter and Instagram are more than just a place to share your golf course related announcements and news, they're a place to implement your social media strategy by inspiring a discussion and encouraging community. Creating a community for your customers online is as simple as creating a group on Facebook. Once you've created the group, invite your customer base to join through email and personal invites, then moderate a discussion with them in the group. Post advice columns on improving technique, fun golf news, alongside your regular promotional updates and announcements. Then, to get the conversation rolling, encourage your group audience to discuss and post their own content. Groups are the perfect place to keep your customers up to date with tournaments, announcements and current events. That's why we created our own group called The Golf Operator of the Future to help keep golf course managers keep up to date with current events in the industry. The best way to get the conversation going is by posting pictures and results from your most recent tournament and encourage others to post their pictures and stories too. Because it's possible for Facebook groups to be private and exclusive they provide value for your members by giving them a sense of belonging and making them feel special. 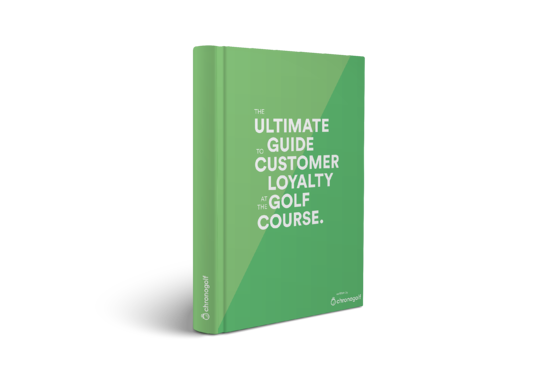 A great way to implement your golf club's social media strategy is by knowing who your most loyal (and sometimes vocal) customers are. Communicating with these members of your audience is necessary for building the strength of your brand and understanding feedback about the quality and experience of your course. Golf is constantly changing, whether it be the return of Tiger Woods, the PGA Tour itself, or a highlight reel shot, there's always a cool video to share or a hot topic to debate. Facebook groups are a place where you can encourage discussion about current events, favourite golfers, and gear choices. Here you'll learn what your audience is interested in and you'll encourage a sense of community and camaraderie. 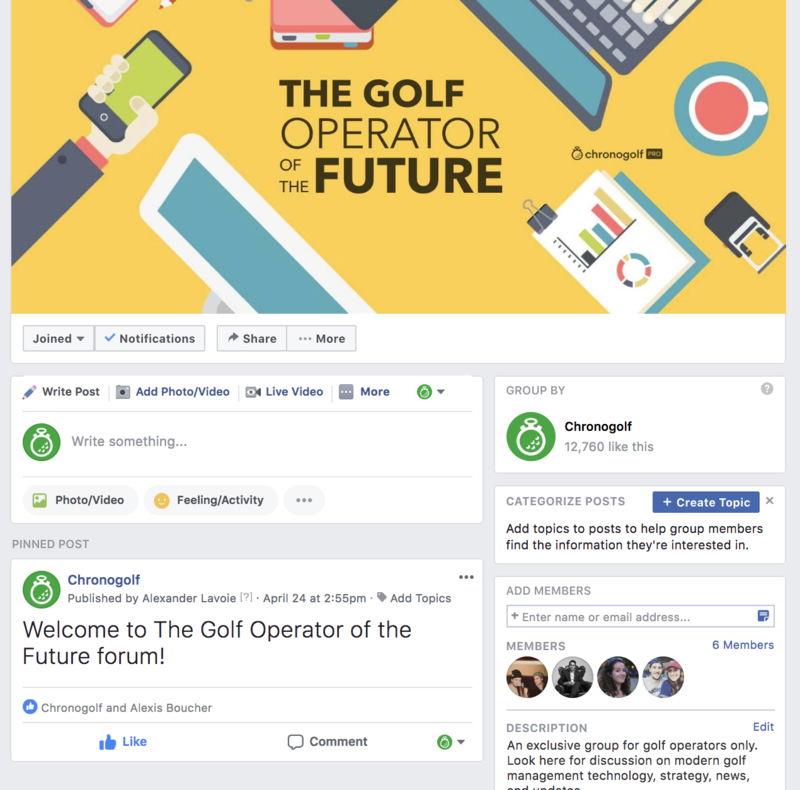 Join the Golf Management Conversation in Our Very Own Facebook Group: The Golf Operator of the Future! At Chronogolf we like to practice what we preach, that's why we created our own Facebook group. The exclusive group is open to golf operators who want to join us in a discussion about best-practices and new technology in golf course management. 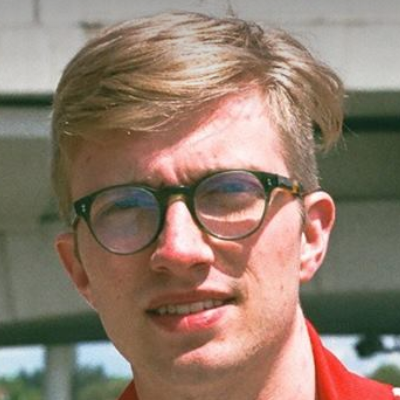 Want advice from other operators on how they grew revenue, implemented a better social media strategy, what technology they're using, and what is working and not working for them? Then this is the group for you! It's really simple to join Just fill out the entry form and one of our moderators will approve you to join the conversation.